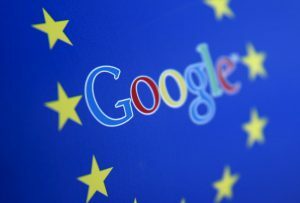 On Tuesday, November 27th, consumer groups filed complaints with the data protection authorities in seven European countries, accusing Google of improperly collecting location tracking data in violation of the new General Data Protection Regulation (“GDPR”). The complaints, filed in the Czech Republic, Greece, Netherlands, Norway, Poland, Slovenia, and Sweden, cite to a study by the Norwegian Consumer Council, which reviews the various methods used to track consumers’ location when they use Google services on their smart phones. Consumer groups claim that Google has been using a variety of techniques to “push or trick” users into allowing themselves to be tracked when they use Google services. These techniques include “withholding or hiding information, deceptive design practices, and bundling of services.” Complainants specifically allege that tracking is accomplished through the “Location History” and “Web & App Activity” features built into Google accounts, and these issues are particularly pronounced on mobile devices that use the Android platform. The complainants go on to allege that Google does not have a valid legal basis for processing users’ location data and is processing personal information in violation of GDPR. Assuming Google will attempt to rely on consumer consent, complainants argue consent from Google users is inadequate because users are not given sufficient information to make informed choices, default settings are hidden, and users are repeatedly nudged to turn on features that track location. In response to a request for comment, a Google spokesperson said: “Location History is turned off by default, and you can edit, delete, or pause it at any time. If it’s on, it helps improve services like predicted traffic on your commute. These recent complaints are significant for several reasons. First, GDPR only recently took effect on May 25, 2018. Enforcement to date has been limited and there is little legal precedent that can be relied on to ascertain a potential outcome for these complaints. It is difficult to predict how the data protection authorities in these seven countries will respond. Second, penalties for violations of GDPR are prohibitive. Current regulations provide for fines of up to 4% of global annual revenue, so Google, and its parent company Alphabet, could face fines in the billions of dollars. Third, Google is facing lawsuits in United States federal court over the same location tracking data. The plaintiffs in those suits allege Google continued to track users’ locations through their phone, even after location tracking features were disabled. Google has filed a motion to dismiss, which will be heard in January 2019. It is unclear what impact, if any, these new complaints in the European Union will have on ongoing US litigation, and vice versa. Be careful what you ask for (and maintain) about Colorado residents…especially if you don’t have the proper data security policies in place. On September 1, 2018, Colorado’s new privacy law, HB 18-1128, goes into effect, imposing new requirements on any business or government entity that maintains, owns, or licenses personal identifying information about Colorado residents. Reasonable security procedures and practices must be implemented that are proportionate to the nature of the personal identifying information maintained and the nature and size of the business’s operations. Written policies for the destruction and proper disposal of paper and electronic documents containing personal identifying information must be developed. Breach notification procedures must be followed, including adhering to a 30-day time period by which notification must be completed. Business that do not already have written data disposal and security policies should act quickly to ensure that they are compliant with the nuances of the new law. Colorado’s breach notification requirement imposes a more aggressive requirement for notifying affected residents than requirements under the Health Insurance Portability and Accountability Act (HIPAA) and virtually any other U.S. state. A business must provide written notification with certain information to affected residents in the most expedient time possible and without unreasonable delay, but not later than 30 days after the point in time when there is sufficient evidence to conclude that a security breach has occurred. For breaches believed to have affected 500 residents or more or 1000 residents or more, businesses must notify the Colorado Attorney General and certain consumer reporting agencies, respectively. Reflective of the shift towards providing consumers with more control over their personal information, the bill is codified under the Colorado Consumer Protection Act (CCPA) and potentially creates a private right of recourse against businesses who misuse a resident’s information. CCPA causes of action oftentimes include assertion of a right to triple damages and reasonable attorneys’ fees. Additionally, the Colorado Attorney General may bring civil, or in some cases criminal, actions for violation of the law. The frequently unforgiving nature of civil monetary penalties imposed by the HHS Office of Civil Rights (OCR) for HIPAA violations should be cautionary. But, not only is there great risk of exposure for unprepared or noncompliant businesses facing enforcement by state and federal regulatory agencies, now more than ever, individual or class action liability seems to be on the horizon. Last, but not least, businesses never envision themselves as “the ones” making headlines about their data breaches…until it happens…and happens quickly. What if I already comply with other state or federal privacy laws? The new law indicates that businesses already regulated by other state or federal law are in compliance if adhering to such regulator’s procedures for the protection and disposal of personal identifying information. If the business operates in interstate, international and/or online commerce involving Colorado residents, however, a thorough review of policies and procedures is recommended to ensure that various applicable laws are reconciled. Businesses subject to the privacy law should take the following steps, at a minimum, to ensure that they are prepared to comply. Entities should know and map the flow of data both internally and outside of their business, whether in paper or electronic format. Inventories of hardware and other electronic portable devices where electronic media is stored should be routinely tracked. Employees must be routinely trained in policies. Handbooks should be updated and whether to require nondisclosure and confidentiality agreements assessed. Appropriate protocols for the destruction and disposal of personal identifying information must be implemented for current and departing employees. Third-party service vendors should be identified and communicated with regularly to obtain assurances of compliance. Contractual documents should memorialize vendors’ obligations. Businesses, including HIPAA covered entities, should rework their data breach policies and ensure that third-party vendor agreements or business associate agreements reflect Colorado’s more stringent breach notification timeline of 30 days. There is no uniform mechanism for determining how best to implement the necessary measures. Legal counsel specializing in data privacy and security law are instrumental resources when ensuring that adequate measures are taken to navigate compliance with state and federal laws, especially in today’s rapidly changing environment. I found it too difficult to use such sites after I logged in. Many times, my fix to turn the VPN on to log in then turn it off to download transactions into my financial software. Some banks regard the use of an IPN as a red flag for fraud, particularly if you appear to be logging in from a foreign country. (I haven’t found that myself). I looked on the internet to see what I could do and was disheartened by the complexity of it all. Maybe I am spoiled by the ease of using an iPhone but I was hoping this would work without having to troubleshoot settings. Bottom line: VPNs do not appear to be a ready and easy way to safely use unprotected Wi-Fi connections. Your cellular phone connection is safe. If you can’t use your laptop via cellular, you can use your phone to change your password, use laptop on an unsecure network, then use phone to change password back. On June 28, 2018, California passed the so-called California Consumer Privacy Act of 2018 (“CCPA”), changing the landscape of privacy laws and compliance for many years to come. The new law gives Californians more control over the information businesses collect on them, and imposes new requirements and prohibitions on businesses. Non-compliance with and violations of the CCPA will also expose businesses to penalties and, because the CCPA provides for a private right of action, the risk of private law suits. The new law (full text available here) goes into effect on January 1, 2020. The CCPA is similar to Europe’s General Data Protection Regulation (“GDPR”), which went into effect on May 25, 2018. Much like the GDPR, the cost of noncompliance can be staggering. The CCPA imposes penalties of $750 per consumer per incident (e.g., $750,000 for an incident involving 1,000 consumers) or actual damages, whichever is greater. As for penalties assessed against businesses, the highest amount is $7,500 per violation, notwithstanding penalties under California’s Unfair Business Practices Act. While at first the penalties and damages under the CCPA may seem minimal, they can add up to enormous amounts, depending on the number of violations, number of consumers, and the amount of actual damages. The CCPA broadly applies to “businesses” that operate for-profit and (1) have an annual gross revenue of more than $25 million, (2) buy, receive or share for commercial purposes, or sells personal information of 50,000 of more consumers, households, or devices, or (3) derive 50% or more of their annual revenue from selling consumers’ personal information. The CCPA also applies to entities that share common branding with a qualifying “business” and that controls or is controlled by that business. The following table highlights the CCPA’s most important consumer rights, as well as business requirements and prohibitions. (d) the categories of third parties with which the information is shared. Businesses are required to make disclosures about the information they collect and the purpose for which it is used. Consumers may request that a business selling consumers’ personal information, or disclosing it for business purposes, disclose (a) the categories of information it collects, and (b) the categories of information and the identity of third parties to which the information was sold or disclosed. Businesses are required to provide this information in response to a verifiable consumer request. Consumers may opt out of the sale of personal information by a business. Businesses are prohibited from discriminating against a consumer for exercising this right, including by charging the consumer who opts out a different price or providing the consumer a different quality of goods or services, except if the difference is reasonably related to value provided by the consumer’s data. However, businesses may offer financial incentives for collection of personal information. Businesses are prohibited from selling the personal information of a consumer under the age of 16, unless affirmatively authorized (known as “the right to opt in”). The CCPA is considered one of the toughest data privacy laws in the United States and will dramatically impact how businesses handle data. A more detailed analysis of the CCPA, and how it may impact our clients will be published shortly. To be included on our distribution list, please contact Susan Orona. In the meantime, to get more information about the CCPA, including assistance on updating your processes to comply in advance of the January 1, 2020, effective date, please contact Andy Castricone, Craig Mariam or Christina Vander Werf. By now, most litigators are aware of the potential gold mine that an opposing party’s social media account can contain. The trick is getting the other side to give it up. One common tactic for the party trying to prevent disclosure is to claim that certain material is private and therefore protected from discovery. Well, now litigators in New York State can combat this argument, thanks to the state high court’s decision in Forman v. Henkin, 2018 NY Slip Op 01015, 2018 N.Y. Lexis 180 (Feb. 13, 2018), which held that making a Facebook post “private” does not give it any special protection under the liberal principles applicable to the discovery process. The court also provided guidance for how to apply those principles to social media accounts, which can prove very useful for litigators in the future. Click here to read the full article. As of March 2017, the organization’s forums hosted 10,901 member accounts. The website has since been taken down and replaced with a seizure notice. Infraud founder Svyatoslav Bondarenko of Ukraine allegedly went missing in 2015, and has yet to be apprehended. Co-founder Sergey Medvedev, also of Ukraine, allegedly took over Bondarenko’s role as administrator in 2015 when Bondarenko went missing; Medvedev was apprehended earlier this month in Thailand while on holiday. Four other alleged, higher-ranking members of the organization still remain at large. Overall, at least thirteen of the thirty-six defendants have been apprehended, including all five defendants from the United States: Frederick Thomas of Alabama; John Telusma of Brooklyn, New York; Jose Gamboa of Los Angeles, California; David Jonathan Vargas of San Diego, California; and Pius Sushil Wilson of Flushing, New York. Allegedly, Thomas, Telusma, Gamboa, and Vargas were vendors who sold illicit products and services to the organization’s members, while Wilson was allegedly a “VIP member” of the organization that purchased compromised credit cards and repeatedly solicited sales for more compromised credit cards. Others who were apprehended abroad are awaiting extradition. While it may be unlikely that the shutdown of Infraud will significantly curb cyber-fraud crimes in the future, it has disrupted one of the largest cyber-fraud organizations, and may potentially lead to other “busts” should the multi-national law enforcement agencies involved here track other Infraud members as they flee to different communities. Although this news may be encouraging to all potential victims of cyber-fraud, consumers and businesses should still remain vigilant about protecting themselves from cybercrime. Public Wi-Fi’s may seem harmless, as users connect to them every day in coffee shops, airports, bars and other places. But most users do not realize the extent to which their personal information, passwords, logins and other sensitive data are left exposed when connecting to an unsafe public WiFi network. While not all such connections are dangerous, you can never be confident that your information is secure when you use one. Thus, for example, as tempting as it might be, you should not access your financial accounts or make credit card purchases over public WiFi. That is, unless you use a VPN (virtual private network). VPN (virtual private network) service providers can create secure connections between the Internet and the Internet user device, whether the user is connected at home, the office or using Public WiFi. Because Internet traffic that is encrypted is difficult to crack, a VPN can make using public WiFi considerably safer. So what is one to do? If you try to research VPN providers you soon run into a salad of acronyms that are likely only understood by those who already know what to do about Internet security. For example, you would learn that a secure VPN must protect IPv6, as well as IPv4 and that “all desktop VPN clients tested, except for Private Internet Access, Mullvad and VyprVPN, leak the entirety of IPv6 traffic.”2 See what I mean? I failed at trying to understand the technology. But I found an easy answer in a current article in PC Magazine.3 This article rated several VPN providers favorably. I’m giving one a try and will let you now how it goes next time. 1 V.C. Perta, M.V. Barbera, G. Tyson, H. Haddadi, and A. Mei, A Glance through the VPN Looking Glass: IPv6 Leakage and DNS Hijacking in Commercial VPN clients, Proc. Privacy Enhancing Tech., 2015 (1): 77–91 (available online at http://www.eecs.qmul.ac.uk/~hamed/papers/PETS2015VPN.pdf). 3 The Best VPN Services of 2017, PC Magazine (Nov. 27, 2017) (available online at https://www.pcmag.com/article2/0,2817,2403388,00.asp).